It was never going to last. After a long stretch of ridiculously nice weather in Southcentral Alaska, the National Weather Service says cold, wet and windy weather is settling in. In other words, it's about to be back to normal around here. "The big picture is just that the sun and the fun are over," said Shaun Baines, a meteorologist with the National Weather Service forecast office. Starting Sunday, people in Anchorage and Southcentral will notice clouds and lower temperatures, Baines said. The chance of rain will increase through Sunday. Rain is likely Sunday night and Monday. The winds will also kick up. On the Anchorage Hillside, winds are expected to gust up to 65 miles per hour, Baines said. Coastal areas south of Anchorage can expect steady rain, Baines said. It's a "significant pattern change" from the 80-degree temperatures of recent days, Baines said. 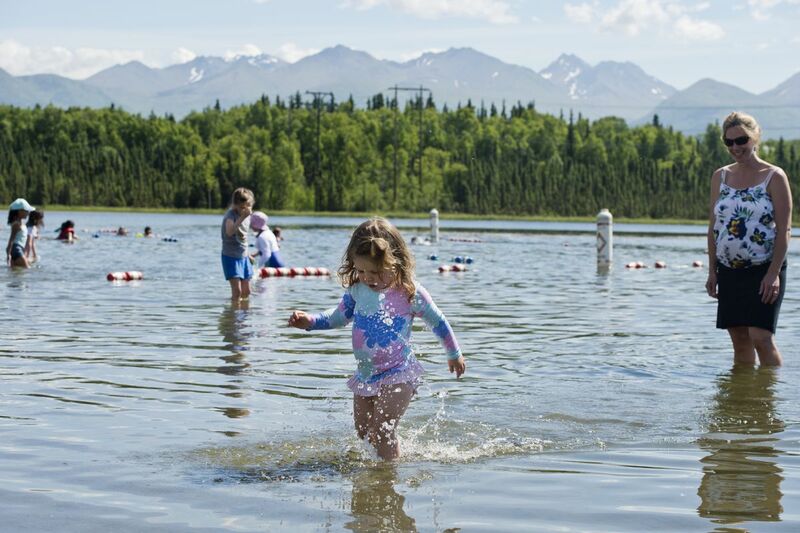 But it's also more typical for summer in Alaska, he said. Devin Kelly covers Anchorage city government and general assignments.